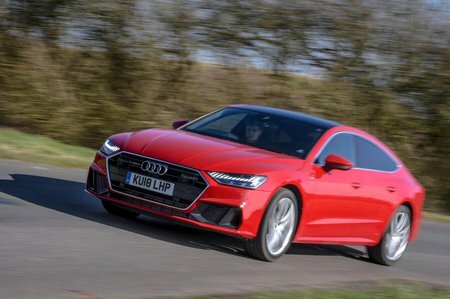 Audi A7 40 TDI Quattro Sport 5dr S Tronic 2019 Review | What Car? What Car? will save you at least £5,866, but our approved dealers could save you even more. There’s no need to go beyond entry-level Sport trim. Full LED headlights, 19in alloy wheels, front and rear parking sensors with a reversing camera, automatic emergency braking, lane departure assist, cruise control, electric leather seats, sat-nav, a DAB radio, Bluetooth, Apple CarPlay and Android Auto smartphone mirroring and a powered tailgate are all included.